If you know someone who really deserves pampering, why not treat them to a gift voucher, it makes a perfect gift for friends or loved ones. 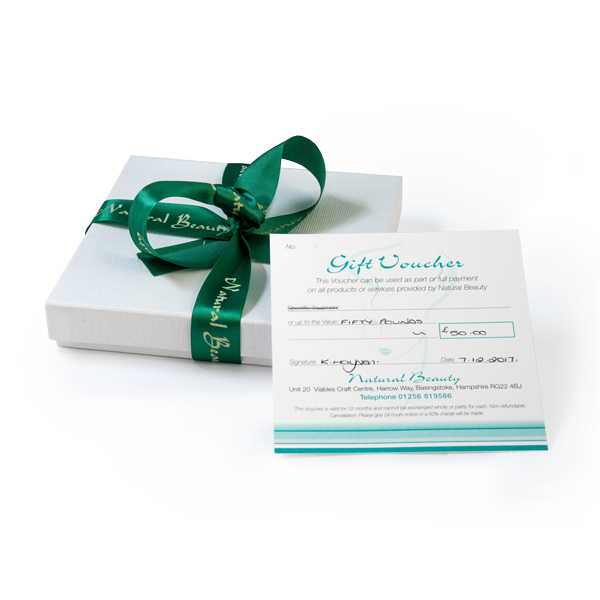 Purchase a gift voucher for £50 or more and get a Free Gift Box & Ribbon! We regret that we do accept any expired gift vouchers. Vouchers are non-refundable and are valid for 12 months. Gift vouchers can also be purchased over the phone or in the salon and redeemed against any of our products and services.